It's a great pleasure to be here for this year's Knowledge of Design Week (KODW). Every year since 2006, the global design community has gathered in Hong Kong to take part in Knowledge of Design Week. For the knowledge KODW imparts, certainly. For the wide-ranging connections it delivers. For the direction, the design vision, it offers – to corporations, start-ups and individuals alike. 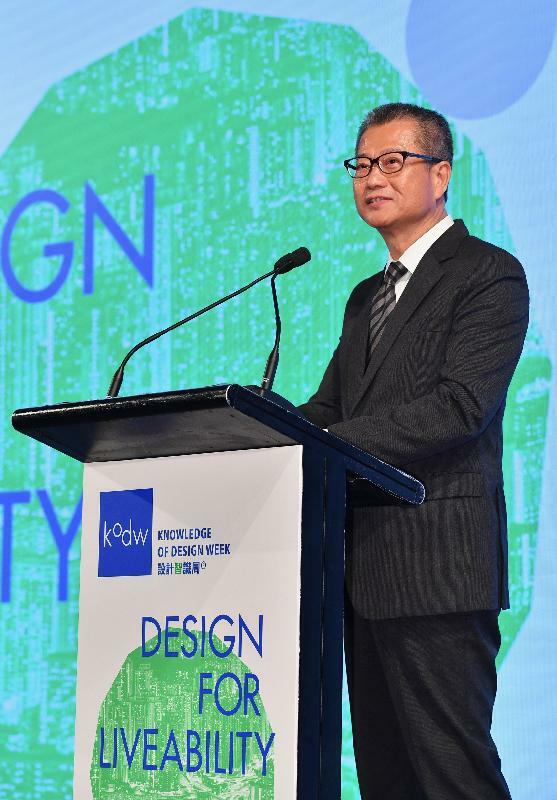 Inspiration will surely drive this year's KODW, thanks to a world-class lineup of speakers, a wealth of workshops and forums and all under a "Design for Liveability" theme. One that resonates with the public as well as design professionals. Indeed, making Hong Kong an even more liveable city is always high on our agenda. Of course, enhancing a city's liveability is a continuing, ever-evolving challenge for government, as well as the design industry. Especially in a city like Hong Kong, where land resources are so limited. The Hong Kong SAR Government produced, after considerable consultation, its Smart City Blueprint in December last year. It maps out development plans for the next five years to enhance the effectiveness of city management and improve people's quality of living and Hong Kong's attractiveness and sustainability by making use of innovation and technology. This week's KODW will, no doubt, shed bright light on design's critical role in creating a liveable city. And I look forward to hearing more from the forums and workshops in the coming three days. I know, for example, that KODW will feature three speakers from Melbourne, Australia. I'm sure they will share their thoughts on why Melbourne has been named the World's Most Liveable City – and for the past seven years in a row – in the Economist Intelligence Unit's "Global Liveability Report." Something to do, perhaps, with the coffee. In any case, we are committed to ensuring that Hong Kong is as desirable a city to live in as it is to work in. 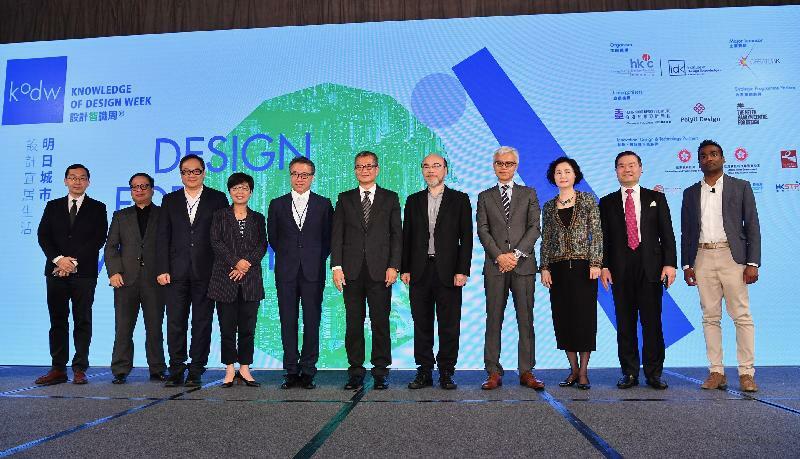 My thanks to the Hong Kong Design Centre for organising Knowledge of Design Week. And I invite you all to take part in December's Business of Design Week, another signature event from Hong Kong Design Week. This year's Partner City, I'm delighted to note, will be Melbourne.